Cerberus FTP Server is a reliable file transfer solution that includes a robust set of integrity and security features for the demanding IT professional or the casual file sharer. Cerberus FTP Server offer support for FTP/S and SFTP sessions as well as HTTP/S, is able to authenticate against Active Directory and LDAP and to run as a Windows service. 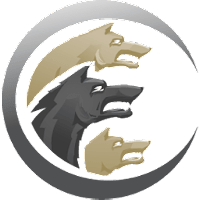 Cerberus FTP Server is available is four editions - Personal, Standard, Professional, and Enterprise: Compare Cerberus FTP Server editions. Disclaimer: Direct downloads for the lastest version of Cerberus FTP Server 8.0.10.3 are provided by the official software's author, we can't guarantee safety, availability or download speed. Moreover, we don't and we won't provide any pirated/illegal versions or tools. We recommend you to avoid it as these methods can harm your device. If you like the software, buy it to support the developers. (We provide software discounts for many worldwide brands).